The Soulfull Project is following in the mold of Toms Shoes and others, using its social mission to donate healthy cereal to food banks. In 2013, seven years after inventing the buy-one-give-one (BOGO) business model for his Toms shoe company, Blake Mycoskie quietly changed tactics. Toms would no longer just donate one pair of shoes to a person in need for every pair its customers bought; it would now work to cure larger inequities in those places, starting with opening a shoe factory in Haiti that would provide jobs for 50 locals. The Toms pivot came on the heels of a barrage of criticism from business analysts and humanitarian groups that said its original goals were misguided at best and colonialist at worst, forcing products on poor people that they didn’t want, without effectively improving their lives. But despite the revision, Toms and successful BOGO copycats like Soapbox Soaps and eyeglass maker Warby Parker were, and remain, part of a well-intentioned response to societal soul-searching, says Andreas Widmer, director of the Ciocca Center for Principled Entrepreneurship in Washington, D.C., who once awarded Toms an innovation prize. Mindful of the BOGO criticisms in addition to the power of engaging consumers to help bring about meaningful change, Chip Heim and Megan Shea founded The Soulfull Project two years ago. The Camden, New Jersey-based hot-cereal company is owned by the Campbell Soup Company, where Heim and Shea once worked on the innovation team. And it represents a new generation of BOGO companies that are determined to learn from the growing pains of the past—and evolve their potential for doing good. Heim and Shea wanted to address the 12 percent food insecurity rate in the U.S., and in their own Camden backyard. To that end, they asked for a meeting at the Food Bank of South Jersey—one of 200 food banks in the Feeding America network that they’ve been visiting one at a time—and broached their idea to manufacture breakfast cereal to feed their community. The food bank’s interim president and CEO, Joe Njoroge, confirmed that shelf-stable, low-sugar, whole-grain breakfast items—particularly ones that would appeal to kids—were in high demand among the food pantries, soup kitchens, and Boys & Girls Clubs his food bank warehouse serves on behalf of 200,000 food-insecure New Jerseyans. That information helped Heim and Shea develop and tweak the products Soulfull now manufactures, and the way they distribute them. Soulfull is one of 2,600 global Certified B Corporations, or B Corps, a group of companies that pledge to “do good”—through fair trade practices, sustainability measures, sourcing transparency, employees-first incentives, and commitment to local, organic, or non-GMO practices. B Corps span many industries and regions; there are 150 B Corps in the U.S. food and beverage category, including Ben & Jerry’s, Stonyfield Farms, and others offering meal deliveries and healthy school lunches. Essentially, B Corps define an issue that needs addressing and ask for consumer buy-in to tackle it. 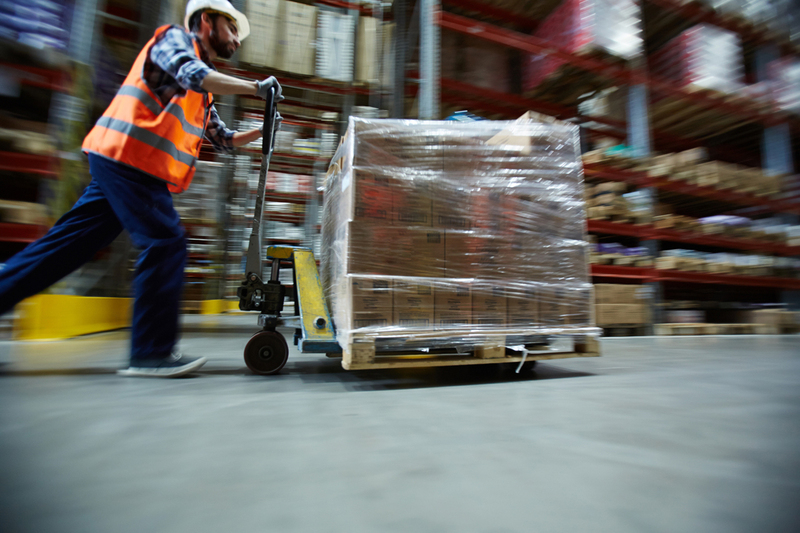 Enthusiasm for such enterprises runs high; a report co-written by the Yale Center for Business and the Environment found that many B Corps outperform “conventional” businesses. According to Bruce Wydick, an economist at the University of San Francisco, who found that the original Toms model created increased sense of reliance in donation recipients, Soulfull is “unlikely to breed long-term dependence…because of the stigma attached” to hunger. And while we decide as a society if we’re willing to “find structural solutions to homelessness and inequality, this is a way to help [people] eat what they need to,” he says. 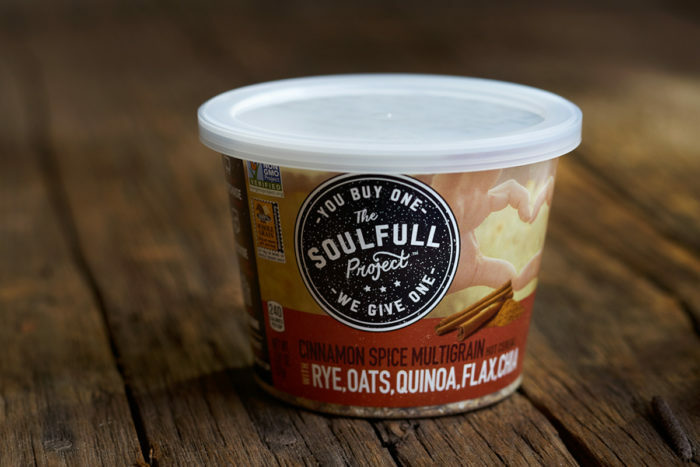 Soulfull sells seven flavors of hot breakfast cereal but after some initial consultations, Shea and Heim decided they’d only donate one kind—their 4-Grain Blend Hot Cereal—to the food banks. It’s more basic than the brand’s flavored cereals, which means it appeals to more eaters and is less likely to be rejected due to allergen content. “You can [also] make turkey meatloaf with it, or no-bake breakfast bars,” says Shea, which stretches its usefulness. Njoroge helped Shea and Heim home in on a major problem in their initial plan: their intention to set up in-store drop-off stations, so that customers could buy a package of cereal for themselves and a second package to immediately set aside for donation. Njoroge mentioned that this was a safety concern as well as a burden for stores—someone would have to monitor the boxes to make sure no garbage had been tossed in by mistake, and there was no reliable way to get the goods where they needed to go. He suggested Shea and Heim keep track of consumer sales and send matched donations straight to the food banks, which is what they do, delivering them at Soulfull’s expense. “What Soulfull provides is very much appreciated,” says Njoroge, pointing out that every healthy staple his food bank warehouse can provide at no charge to its partner distribution organizations, frees up money they can use to purchase other necessities. Once Soulfull hits the 1-million mark, Shea and Heim are uncertain what their next goal will be. Beyond visiting every one of Feeding America’s food banks (they’re currently at 110), they’ve discussed basic aims like getting shelf space in more grocery stores, and loftier ones like donating 40 million servings of cereal—one for every food-insecure American—and perhaps figuring out how to source cereal ingredients from local farmers. The food banks are committed to the partnership as long as it holds. And they have a long wish list for Soulfull, should they ever choose to venture into making other products: more healthy pantry staples, such as peanut butter and applesauce; hygiene products and school supplies—which food banks also strive to supply. In the meantime, they’d be happy with a significant ramping-up of donations of Soulfull’s 4-Grain cereal.